The last week has seen some of the largest declines in asset markets since 2008. 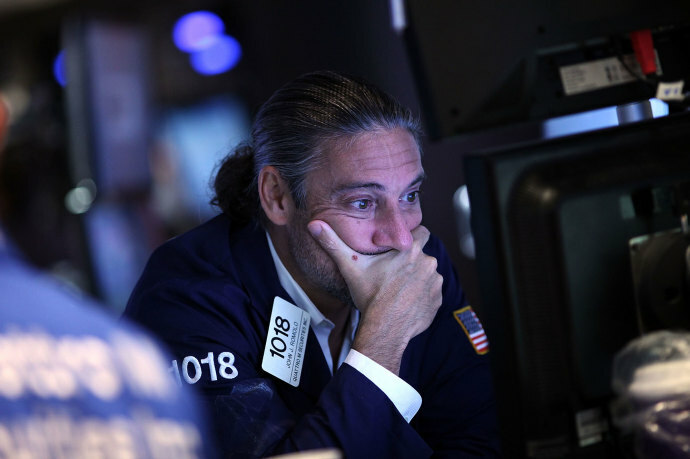 The drops have mainly been kicked off, by concerns over the Chinese economy and the US Federal Reserve’s move to potentially raise interest rates in September. European markets are down by 18% and nearing bear market territory. The US market has also been effected and is entering a correction phase with drops of 10%. Emerging markets have been hit the hardest and this is especially apparent in markets linked to China. We have had virtually no exposure to emerging markets in our portfolios, for the last two years, so overall we have outperformed the markets. In addition to drops in the equity markets, commodities have also been hit hard. Oil prices have dropped as low as $38 a barrel overnight. While markets have dropped substantially over the past few days, it is our view that there has been a severe overreaction. China is experiencing difficulties; however, it seems highly likely that China experienced a recession at the start of this year. This was largely caused by a reduction in lending to local governments, due to internal accounting changes in china. These issues have now been resolved and property prices in China have begun to increase. The US economy continues to grow and Europe is now moving out of recession. In addition to the fall in the price of oil and the devaluation of the Chinese currency, there will now be even less reason for the Federal Reserve to begin raising rates in September. With this in mind we expect to see equity markets rally over the next few weeks, with main markets returning to previous highs by Christmas. The oil market may take longer to correct and we see a 50/50 chance of further drops to as low as $35 a barrel. However, with oil prices this low we see a fantastic opportunity in the longer term. It is our intent to maintain equity positions until the middle of September, before reducing holdings and making further purchases into oil. If you have any intention of making any additional investments, the next few weeks will likely present a significant opportunity to take advantage of. « What’s behind the falling gold price? I hope everything went well with the wedding and all your friends over. Are you travelling on business or honeymoon just now? I hope things are getting back to normal now. Let’s try to catch up for a beer or golf sometime soon. I’m off to Thailand this weekend to hopefully get the keys for the new apartment. What’s your suggestion regarding there has been an avalanche of bad news in the junk-bond market. Bonds have been overpriced for years and we have been fearing a severe correction for a long time. Is this the time that it will happen, I think not; but anyone with heavy exposure to any bonds (Even highly rated, low yielding bonds) should ensure that they can quickly sell them, because when they do go, it will be fast and painful! Bonds are no longer that safe house that we knew from years gone by. Needless to say, junk bonds are much higher risk and I would personally place them in the very high risk category.